The event ANTS reveals the epic full season line-up for this year and announces plans to transform the #1 open-air club into a fully-fledged underground world, the 'ANTS Metropolis'. Presenting a remarkable upside-down world, ANTS Metropolis will see Ushuaïa Ibiza transformed into a bustling underground city, marking a huge change from previous seasons, where the production has focused on the more natural and animal-side of the ANTS colony. This season’s immersive production will focus more on the ANTS colony as a society, hard at work in today’s modern world. Filled with an all-star cast, the 18-week series, starting on 1st June, will see a range of the finest electronic talent including Andrea Oliva, an integral part of the ANTS family, who recently released his new EP ‘Rosa’, plus Solardo, Francisco Allendes, Italian producer Davide Squillace, techno legend Joris Voorn and Grammy nominees CamelPhat who will all enter the ANTS society. Marking the mega-brand’s 7th consecutive season at the Balearic venue, ANTS will emulate their very own city, with a landscape of industrial production that will immerse crowds and welcome the likes of Kölsch, Nic Fanciulli, Pete Tong, Steve Lawler, The Black Madonna and FISHER. Ibiza`s leading house and techno day-to-night party, ANTS celebrates another season of world-class DJ’s and spectacular production, which has carved a solid reputation across the globe. The concept has enjoyed a meteoric growth in stature since the inception of the brand in 2013, with a multitude of ANTS parties taking place all over the world, focusing on rugged minimalistic beats from some of the biggest names in the tech-house scene. bio Returning to Ibiza for 2019, the ANTS colony will deliver a bustling metropolis during their seventh season, bringing an underground world of decadence to Ushuaïa. Transforming the Playa d’en Bossa venue into a society dominated by colonies, the ANTS city will see party goers flock to the Balearic venue every Saturday from 1st June onwards. This year, the crew consists of Andrea Oliva, Davide Squillace, Francisco Allendes, Joris Voorn, Kölsch, Nic Fanciulli, Solardo, Steve Lawler, and many more, who will all be in attendance throughout the course of the residency. A new addition to the team for 2019 is tech-house giant FISHER, who will be ‘Losing It’ alongside the likes of Tapesh, UNER, Eli & Fur, SecondCity, Lauren Lane, Grammy nominees CamelPhat and many more across 18 dates this season. Marking seven consecutive seasons as one of Ibiza’s leading house and techno day-to-night party, ANTS has continued to take Ushuaïa by storm and remains the #1 open-air venue’s most popular event on the weekly calendar. 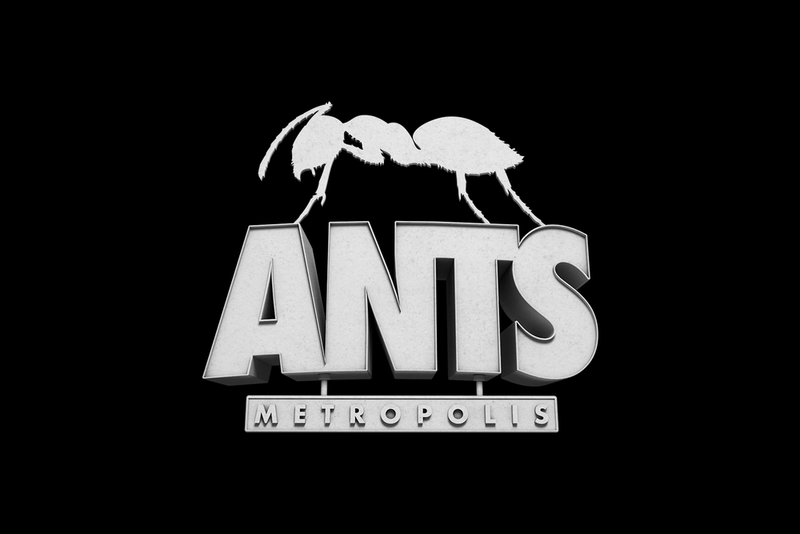 With an aesthetic that is lustful and alluring plus slick production that is second to none and a soundtrack provided by the finest names in house and techno, it’s no surprise that fans have welcomed ANTS wherever they have spread to. Continuing to swarm beyond Ibiza, the colony’s global presence has seen numerous showcases in Dubai, New York, and the UK amongst others, with recent events held in Tulum, Vietnam, and Miami, as well as two celebrations in both Amsterdam and Rotterdam for Kingsday. Hosting festival appearances at the likes of Tomorrowland, Extrema Outdoor, Off Sónar, South West Four and We Are FSTVL - scattering their “Music is the ANTSwer” mantra wherever they visit, ANTS continue the uprising in 2019, with the vibrant metropolis of the ANTS city constructing a party playground for white isle revellers this summer.